HomeConsultingWhy Do Top Talents Work On A Freelance Basis? Freelancing is no longer an option only available to those who wish to work part time or in the creative industries, but rather a viable and exciting way to create a flexible career with an attractive work-life balance. Many companies are embracing the benefits of flexible contracts with highly skilled professionals, reducing their overheads and maximising the expertise available to them. Not all freelancers work on a full-time basis, with some building up their businesses alongside family commitments and others freelancing alongside a regular job. However, professionals from all backgrounds and disciplines are moving into the freelance market, and the percentage of people working in this way is rapidly increasing. Could You Work On A Freelance Basis? Can you make the most of technology? Part of being a freelancer is adapting to the opportunities you are offered and building these into your daily life. Technology allows freelancers to work anywhere and to communicate with others worldwide at all times, optimising working schedules and creating a truly flexible career. Are you adaptable? 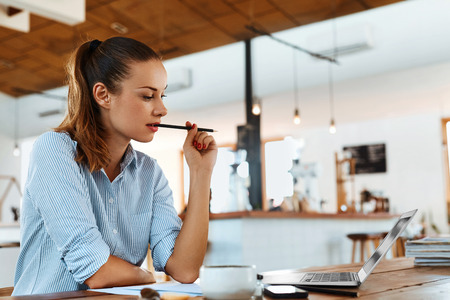 Freelancing is not a lifestyle that is restricted by age or gender, but studies show that it is extremely popular amongst women with families and young graduates. This means that the employment market benefits from extremely high level skills via freelancers that might otherwise have been restricted by narrow hiring margins and inflexible companies. Do you know your value? Global downturns may have enforced a move into freelancing for many professionals, but the new opportunities this has created are positive. Because they are offering high level skills where these are in high demand, freelancers can set their own pricing scales and earn a living that rewards their talent and dynamism. Do you want a better work-life balance? Working on a freelance basis gives you the opportunity to create your own diary and prioritise the things that really matter to you. Whether you want to travel the world as a digital nomad or fit your work around your family, you can design the life you want to live and create a career that enables it.